Bialetti Mukka comes from the world renowned stovetop pots maker, is a functional and groovy cappuccino maker which will surely revolutionize coffee drinking experience. Also known as the Mukka Express, is oast of three things: ingenuity, simplicity of use and great design. The Bialetti Mukka is a stovetop cappuccino maker, intended for use on either gas, electric or ceramic cooker. It is the first of its kind making it possible to prepare two cups of perfectly creamy cappuccino-with froth and all, thanks to its special pressure valve that makes the perfect froth every time. 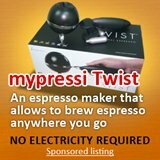 It brews express cappuccino without having to compromise the quality of the coffee. In fact, the cappuccino it makes is just as good as the ones sold in coffee shops. 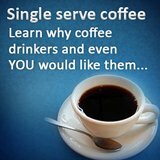 There’ll be no more waiting in long lines and shelling out dollars for your coffee. 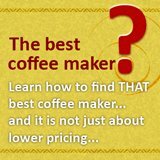 You can make your own cappuccino anytime you want right in the comfort of your own home; saving you both time and money. It has a polished aluminum housing that comes in three different designs. The most popular design perhaps is the black and white cow patterned design fondly called the ‘cow espresso maker’; it is strikingly noticeable because of its fun and funky design. Surely, there’ll be thrill and excitement each time you use this model, not to mention the anticipation of the delicious treat it contains inside. 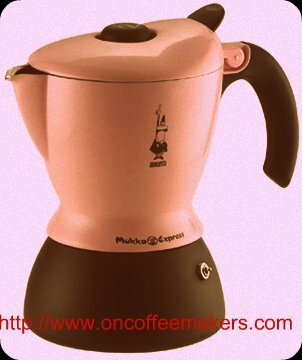 The other two designs are sleek and elegant looking; you can purchase the Bialetti Mukka as it is in polished aluminum or in pink. For the pink Bialetti Mukka however, part of its proceeds goes to the National Breast Cancer Foundation, not only did you get to purchase a high-quality product for yourself, you also get to help support a good cause. As it is fun to use, cleaning it up is also easy. Just wait for the unit to totally cool down before taking it to the sink then simply rinse it in tap water or you may also use a soft sponge to wipe the parts then let dry thoroughly before reassembling the parts. The most famous among Bialetti espresso models is the Moka Express which was first patented by Alfonso Bialetti in 1933. 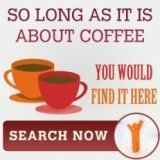 Up until now, it remains the most popular stovetop espresso pot. In fact the general term for stovetop pots in Italy is ‘moka pots’. It holds a lot of records including (Would you believe it?) being the most copied coffee pot model ever! Needless to say, Bialetti stove top coffee makers really are of good quality and will surely deliver an excellent performance. The Bialetti Mukka is a simple and efficient coffee maker which with sensible use and care will serve its lucky owner delicious cups of cappuccino for a long period of time.